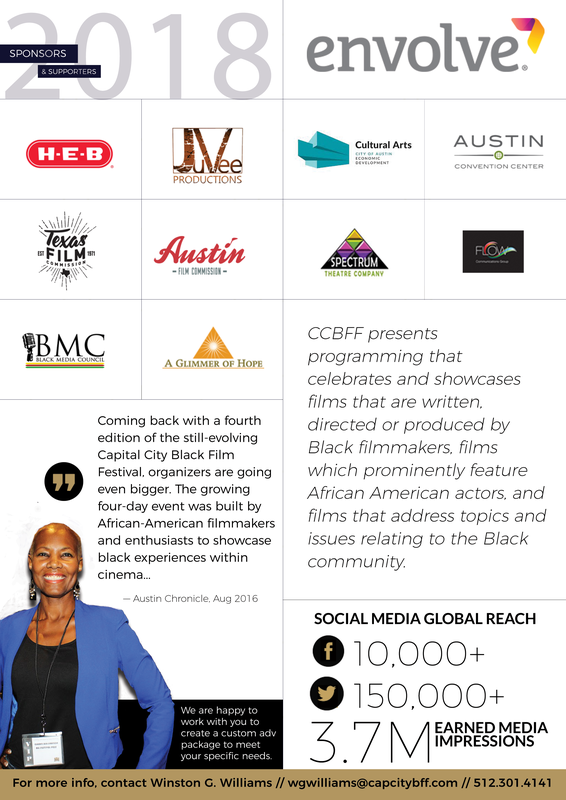 We invite you to be a sponsor of our 6th Annual Capital City Black Film Festival, home of the best in new independent black film from the brightest minds in film making. The CCBFF is expected to attract nearly 2,000 participants through its promotional marketing and strategic partnerships with national and regional sponsors. During this four-day event, the official Program Guide provides detailed information on the films, programs, and parties and is an excellent opportunity to advertise your products and services to our diverse audience. We attract a cross-section demographic of Millenials and Gen-Xers between the ages of 25 and 44 who are a mix of upscale and sophisticated film industry professionals and film-goers from all across America and corners of the world. THE ADVERTISING SUBMISSION DEADLINE IS MONDAY JULY 30TH.